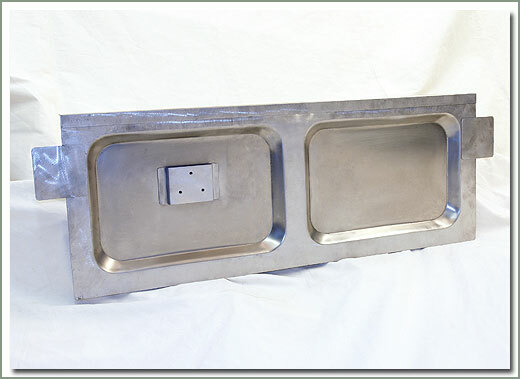 The Supertop is manufactured with 18 oz. 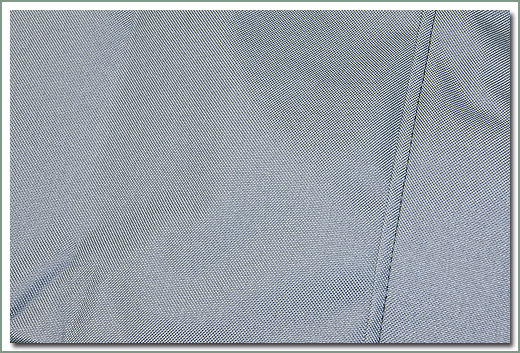 Denim lined Haartz material, high strength T-135 marine grade thread and sealed seams. 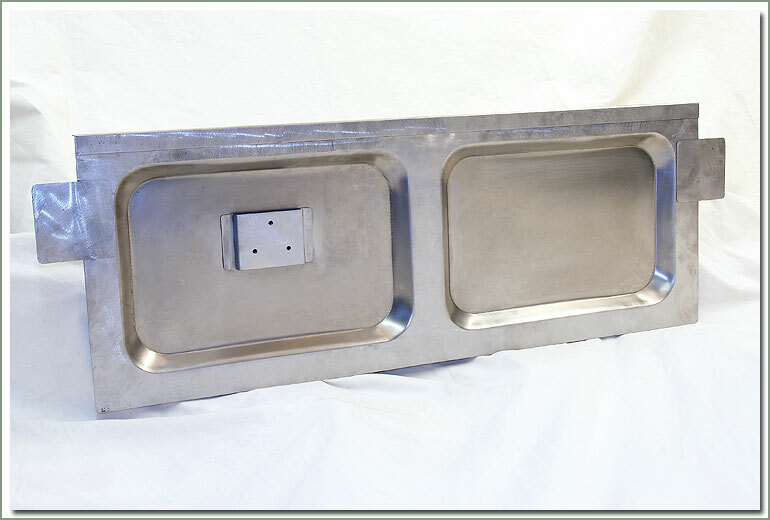 This top uses Bestop's patented Belt Rail attachment system that eliminates drilling the body tub for snaps. 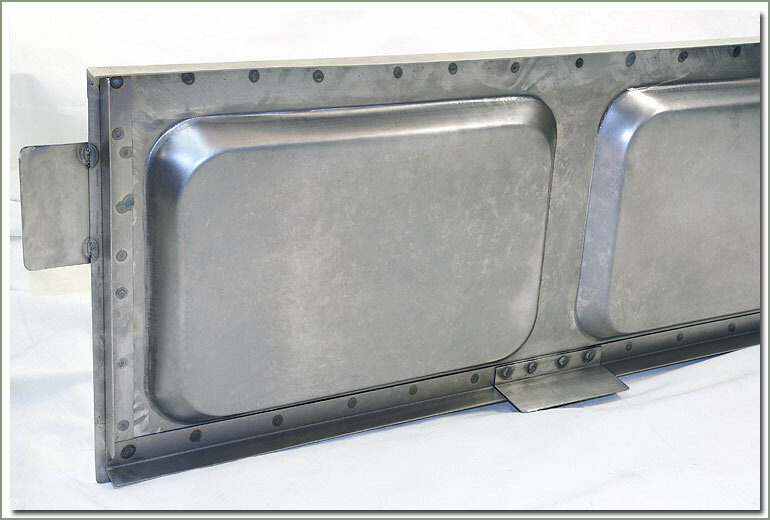 Drilling is still required to attach windshield frame channel, to install bow brackets and footman loops for webbing tie downs on the body tub. The clear plastic windows are D.O.T. approved material seam sealed to the fabric to eliminate leaks. 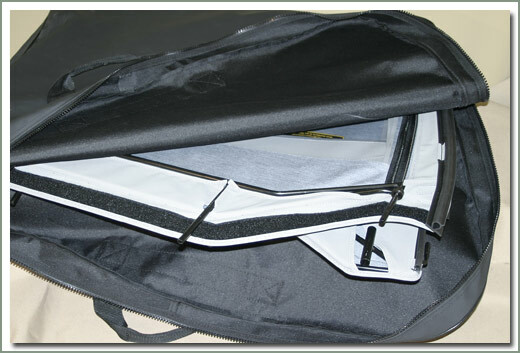 The rear window is completely removable using nylon zippers. The side windows roll up for that open air Safari look. This new top uses powder coated bows. 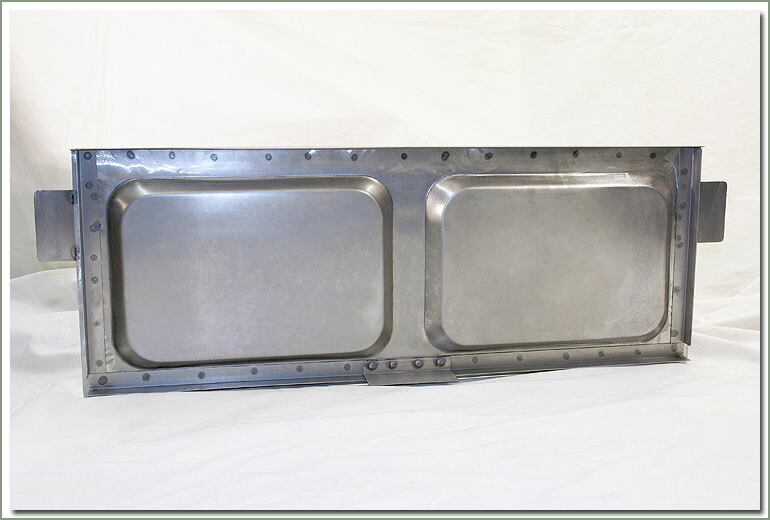 This frame holds the fabric taut to eliminate the loud noise from flapping material while driving on the highway. This frame is also adjustable to compensate for a vehicle body that is no longer straight. 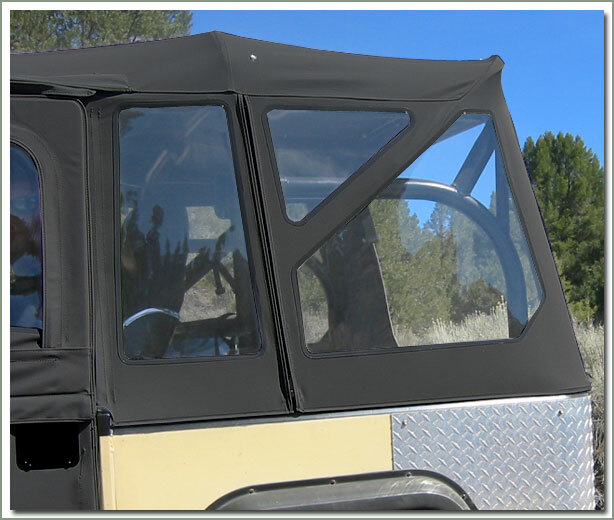 This new top uses marine grade hook and loop type fastener to hold bottom of rear window to the body. Comes with installation hardware. 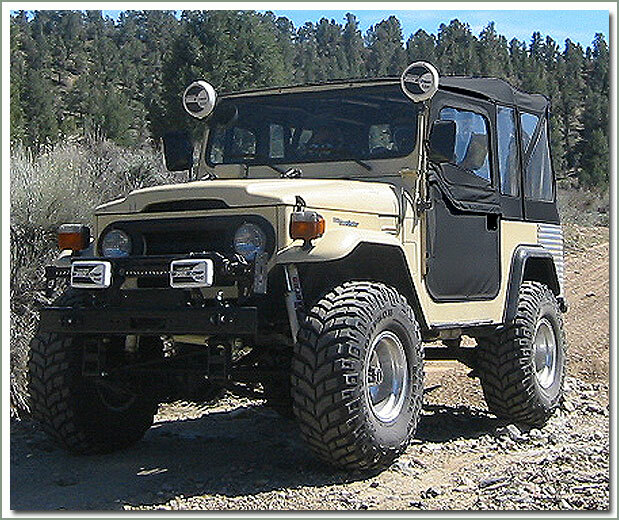 The Supertop fits the original Toyota hard doors. This new Supertop does not come with soft doors. New two piece doors that convert to half doors are available separately see #269-120. Available in Denim material in Black (BL). 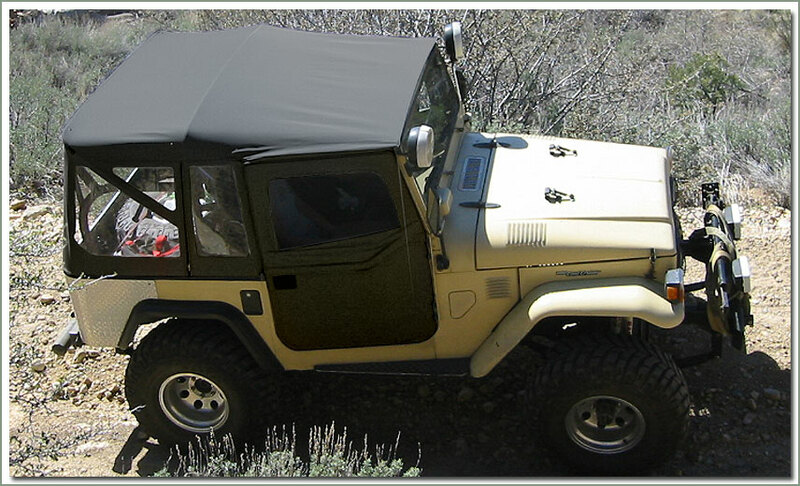 For you Bestop Softop owners who have always wanted Two Piece Soft Doors, your wait is over. 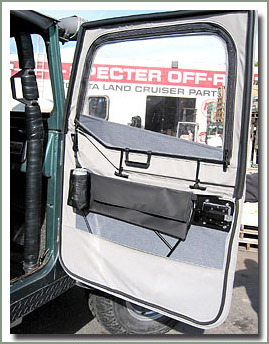 After years of asking for Two Piece Doors, Specter is happy to announce they are finally available. These doors are made from the same 18oz. Denim lined Haartz fabric, the same cool paddle handles and the same great construction techniques as their Softops. These doors start out as full size soft doors with a window that zips open using high quality YKK Zippers. The top half of the door can be removed leaving the bottom portion as a half door. So you can start your trip with half doors in sunny weather, but when it starts to rain you can be snug and dry behind full size doors. Comes with paddle handles and installation hardware. If your vehicle has hinges designed for the original Toyota Softop Doors you will need to purchase #124-20-BS-U (qty 1) & #124-21-BS-U (qty 1) used body side hinges, or #268-850 Body Hinge Kit. 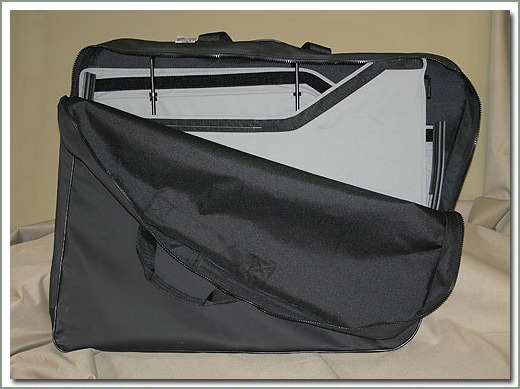 If you plan to remove and store your soft doors, see #269-170-B Two Piece & Half Door Storage Bag. Sold in pairs. Available in Denim material in Black (BL) or Gray (GY). 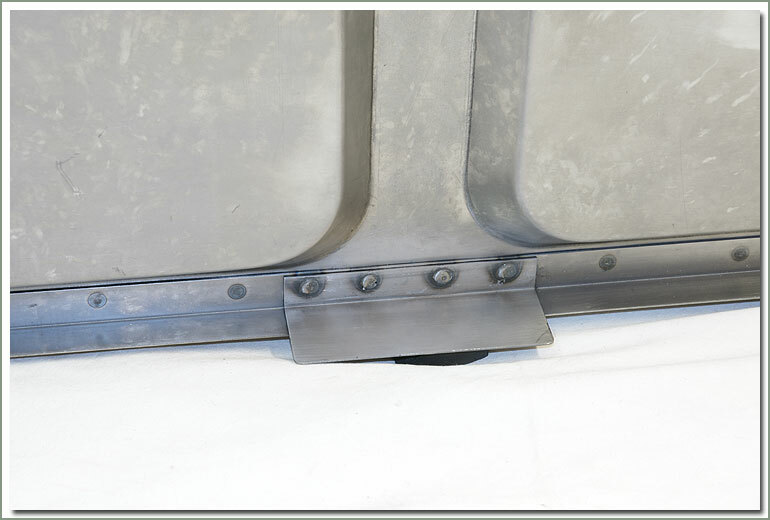 SOR's Half Door Pockets are designed to be used with these new Two Piece Soft Doors. Great storage spot for cassette tapes, maps, etc. Made of sturdy Tuff Duck fabric. 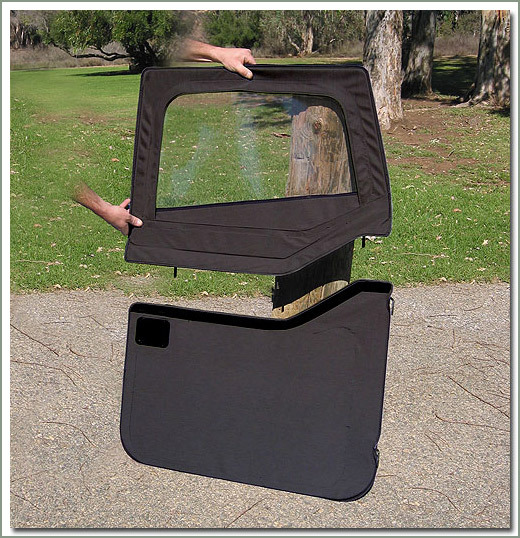 Each Half Door Pocket has a handy built in mesh cup holder for your favorite beverage. Sold in pairs. 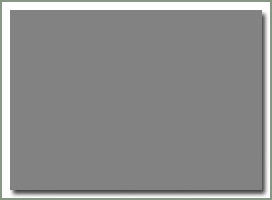 Available in Tuff Duck material in Black (BL) or Gray (GY). 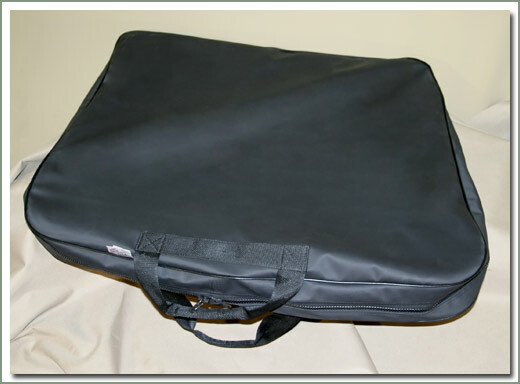 SOR's top quality storage bag is the perfect bag designed to hold and protect your soft doors, part #269-120 or #273-15. They're are made of heavy duty 'Tuff Duck' material, durable 100% poly textured duck fabric is water and mildew resistant. There is no other on the market that compares. TuffDuck is constructed of a 600x300 denier with PVC backing. Sewn with weather resistant nylon thread, and seams are top stitched for extra strength. 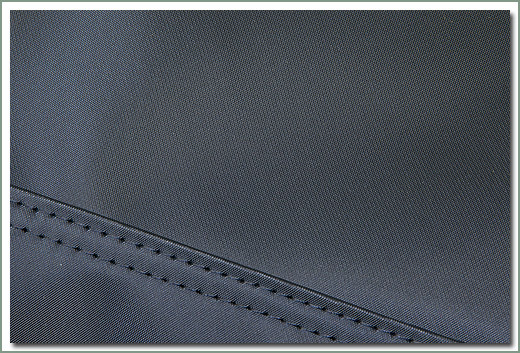 We use ONLY YKK zippers for long lasting quality and durability. 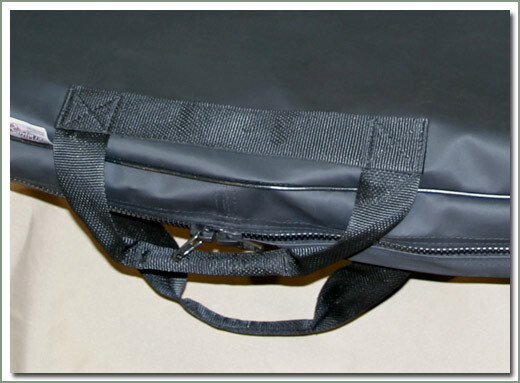 Featuring reinforced carrying handles and vinyl welted seams. We easily fit in a pair of 2 piece doors (two upper & two lower door pieces). Try that with any other brand. 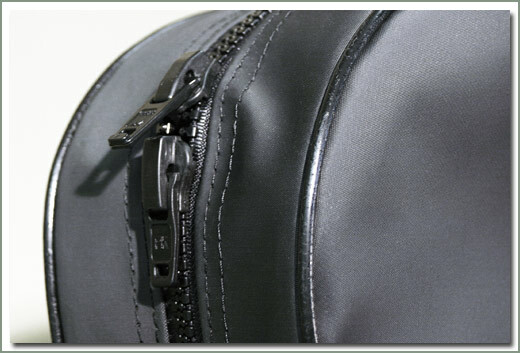 Use this bag to store and protect soft half doors as well. 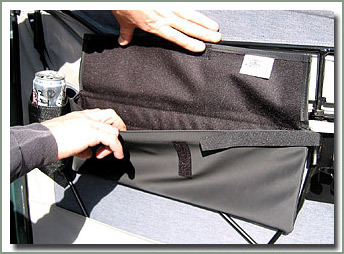 If you plan to remove and store your soft doors, you need this Door Storage Bag. No other manufacturer can beat the quality of the SOR Storage bag.